The 1st Grenadiers and 1st Chasseurs de la Garde received two flags with their eagles on 1st June but both were destroyed, and of the Guard’s 1815, flags only that of the Horse Artillery survives. 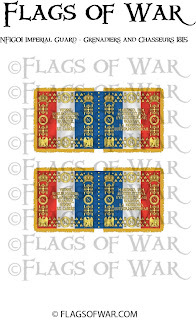 We can only perforce to assume that flags of a similar pattern were carried by the other regiments. 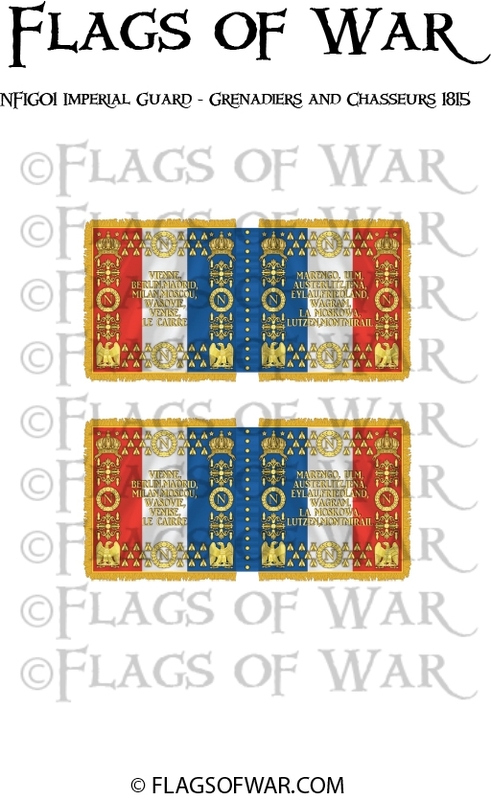 These flags can be used for either the Grenadiersor the Chasseur.